In another thread EscapeVelocity shared the following list. Since then I have been marking my dreams according to the Leland scale. So this morning I enetered a 0. No recall what so ever. I had worked the lates shift last night so was in bed by 12. Woke up a few times but flew like aches and pains kept me from relaxing enough to even attempt a full exit OBE. Anyway a few hours later I wanted to tell my wife about some funny news I heard on the radio yesterday when I realized that that newsitem was pretty far fetched even though the topic is very real in holland at the moment. When I told her asking wheter it was real or a dream she immediatly knew it was no real news.. So in retrospect I had to add a level 2 to tonights experiences..
Thouths? I haven't had such a disjointed recall hours after waking up before as I can remember. Mind you that I haven been paying that much attention to dreams for years.. I am a huge proponent of Kurt's work. Much of what he says matches my experiences as well. Once you learn to release your physical mindset, you will be shown/taught how to traverse to those higher "levels" that Kurt speaks of. Heightening your awareness is a very powerful step forward. What your doing right now will help you greatly with this. You will find in time that the NP will be "second nature" to you. That opens up a whole new can of worms. But you will learn how to handle those as well! Great Job! Here's to your continued success! Any questions, please ask...we are all here to help each other...me included, lol. Kurt Leland's writings have been a major step in my personal growth. I may have to start reading his work then.. I only heard of him from EV's post the other day and found his list useful. Hi, Can you elaborate on what it is that concerns you? This is a far cry from seeing an NP overlay on top of my physical surroundings causing me to step in front of a bus. I work in mental health care so know a thing or 2 about stuf minds can do to people. I think I am not very prone for experiencing a psychotic episode. But then it could happen to anyone.. I try not to bridge this experience with that of my waking life. My attitude is this: I am on the astral plane, I know that events and things do not have to resemble the physical world. Makes sense. In this case however it appears to have been an "unconscious" dream which lodged itself in between my ordinairy daily memories. Or rather it hid there until it surfaced at which point I immediatly knew there was something not quite right with that memory. My thoughts on the validity of most memories is that they aren't 100% correct most if not all of the time. So one should never completely trust what they remember. That said however a certain amount of trust is needed to make it through this life. Hence my "can of worms" quote above. I have had times where the physical and NP have merged. It caused confusion and was something that needed to be "handled". It happened from the state of LDing. The "Simulation" I was experiencing was almost a mirror of my physical realty. So much so that when I had awoken, I had mistaken it for such. Then there were times when my memory was getting distorted. I had memories of experiences, but found I couldn't say for sure whether they were of physical or NP nature. This got better with time. That's when the NP started becoming second nature to me and I discerned for what is was. Im such a little grasshopper. By looking at this scale I have low-mid scores on average, ranging from 2-6. Some weeks depending on sleep, I can be in the 0-1 range. Occasionally a smell or sensation will come through in my dreams, but they are rare and only raise my awareness up to make recalling the dream easier but never enough to reach level 10. Other night I had a dream of this skinny witch thing with no eyes in socket (very rare dream character!) shouted a pulse of air/clear energy at me and I felt it go thru my body. I was like wow, that was interesting and thought to block/repulse those with a force of my own and doing so turned these pulses into harmless bubbles. 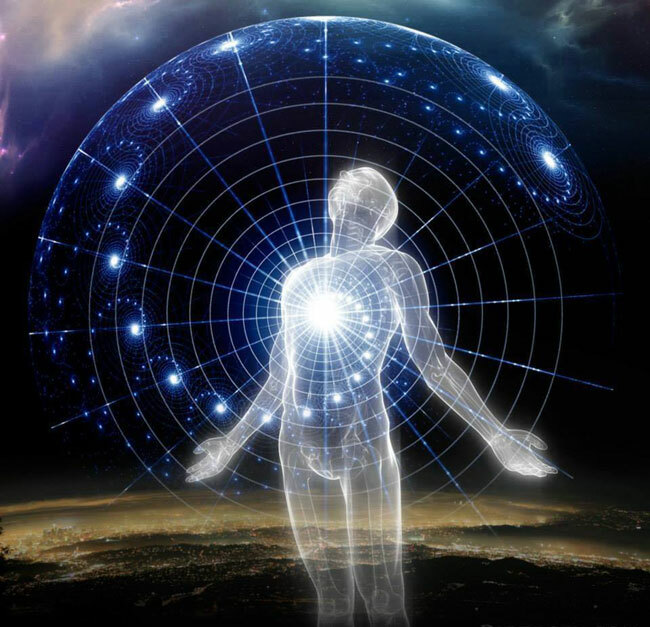 The character and sensation of the pulse go thru my dream body both made that dream memorable, so that was positive / level 9 type of interaction. Creatures are extremely rare in my dreams. Lucid? Nope. Last night I became the owner of a Disneyland park and a wild dog was attacking me. I had to stab it. Lucid? Nope (mind you, I was bitten by a dog twice as a child and still nothing!) lol. These sort of interactions are almost silent or muted and mostly void of emotions that would trigger me to question my reality. I started a dream journal maybe 2 years ago and it's helped a little. Better than being at 0-1 before, but I expected more I guess. Recall leaves way faster and easier than getting it back. A clear head before going to sleep and going to bed earlier are a requirement just to maintain these low-mid scores. I am in my 40s, and yeah I was pretty unconscious about this stuff for decades, but I thought at least my dream recall would see a bit more gradual increase in improvements. First chance I get, I'm heading to Astral Pulse Island!